Roughly speaking, when your brain senses hunger or knows that a meal is on its way, stomach acids are released. Digestive enzymes are secreted to assist in the breakdown of food components, in particular proteins, whereas salivary amylase, which neutralises acid in the mouth, helps break down carbohydrates. There is clearly a biochemical reaction going on when food or drink is consumed. With regards to wine, we know for example, that tannin, an important constituent of much red wine found in the stalks, pips and skins of grapes, reacts with protein. This is why highly tannic wines are often paired with red meat, the tannin breaking down the proteins and softening the texture of the meat like a gravy, bringing out more of the flavours. Conversely, tannins do not react well with oily fish and may produce an unpleasant bitter metallic taste in the mouth. 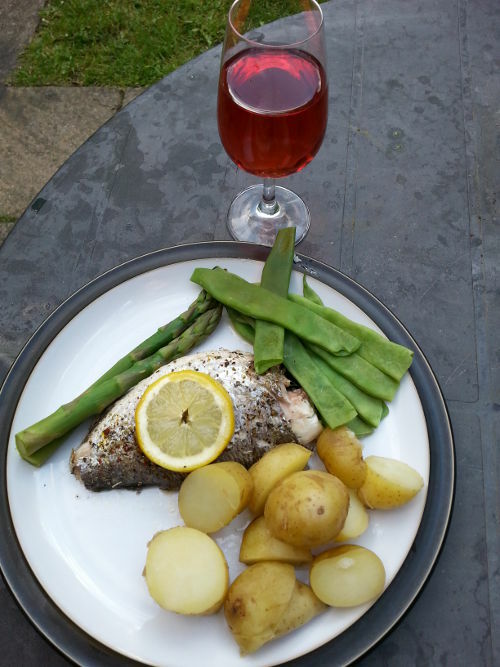 Hence, the oft-quoted idea of "red wine with meat and white wine with fish", though this is grossly oversimplified and just represents an "if in doubt, go for a safe option" bit of advice. Since wine is often made to accompany the cuisine of the area in which it is produced, drinking local wine with local dishes is not a bad place to start, although is hardly a prescribed rule. Moreover, matching heavy food with rich, powerful wines and lighter food with more delicate wines can rarely be a bad idea, makes intuitive sense and stands up to scientific scrutiny. As long as neither the wine nor the food overpowers the other so that they just taste good together, which is subjective after all, then there’s no problem. Acidity, sweetness, tannin, weight, strength of flavour, type of flavour and alcohol of a wine all contribute to enhancing the perception of what you’re eating with it. Following a few guidelines, which is all they are, based on the wine experts’ knowledge and science, can simply help avoid those combinations that do no justice to the wine nor to the food. Now what’s so bad about that? One of the great joys of wine is the sheer variety available – enough for all palates – and one area known for its distinctive styles is the historic Loire valley in Northern France. White, rosé and red wines develop their unique aromas and flavour profiles with influences from the climate, the mineral-rich terrain, the river and the Atlantic Ocean. The area is also renowned for its cuisine, so it comes as no surprise that wines from the Loire complement the local food so successfully. Nevertheless, it’s not just French cuisine that can benefit from these wines, but British and other food too, as the grape varieties lend themselves to a wide variety of styles from lighter snacks through to serious dining. Melon de Bourgogne (used for Muscadet), Chenin Blanc and Sauvignon Blanc make diverse and characterful white wines, while Cabernet Franc, Cabernet Sauvignon, Gamay and Grolleau Noir offer flavour-filled and unique red and rosé wines. Two wines made from some of these varieties are discussed below. I was recently sent a couple of wines from the Loire valley to partner with food. 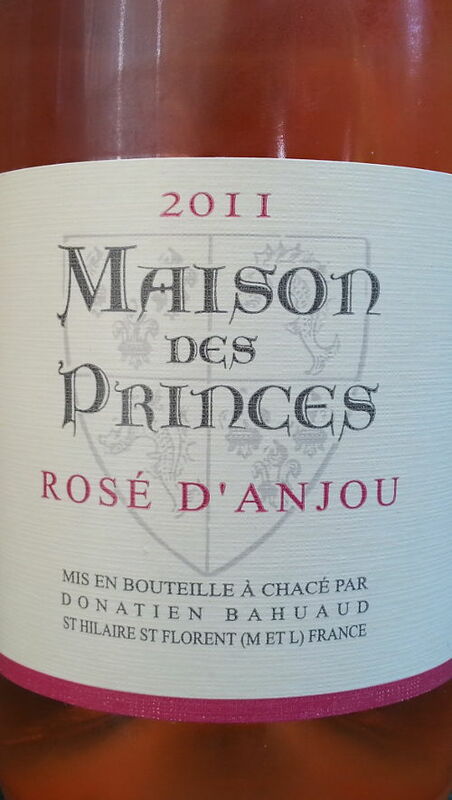 Firstly, the medium-dry Maison des Princes Rosé d’Anjou 2011, made from 85% Grolleau Noir, 10% Gamay and 5% Cabernet Franc, is available in the UK from Morrisons. It is fresh, floral, delicate and fruity with notes of raspberries, strawberries, well-balanced acidity and a sweet, light, nutty creaminess on the finish with a subtle hint of caramel. At 10.5% ABV, it’s great for drinking on its own or to accompany a light meal. Suggested pairings include grilled white fish, light white meats, various sweet or savoury salads and Asian cuisine. In fact, light and fruity rosé wines can often go really well with spicy food, while sweetness can cool down the spicy heat and lower alcohol avoids intensifying it. So this wine could perfectly accompany summer picnic or party snacks with a bit of a kick, whether Asian-inspired or otherwise, i.e. onion bhajis, samosas, pakoras, chilli chicken wings and so on. Nevertheless, I wanted to try another combination which I felt would work. The Artisan Smokehouse "maple wood-smoked goat’s cheese" is fresh, light, creamy, nutty and salty. It tastes delicious on its own, with buttered walnut bread or in a salad, as I had it, with sliced sweet green tomatoes, lamb’s lettuce, peppers, carrots and a drizzling of balsamic vinegar and olive oil on top. Conventional wisdom says that smoky food needs wine with enough character to compete with the strength of the smoking. On the other hand, sweeter wines can counteract saltiness, resulting in a more balanced mouth feel. Therefore, a rosé of this style can partner a light, good quality, smoked, salty cheese with a delicate nuttiness. I really liked the combination and, although subjective, there clearly is some objective rationale for why this cheese salad and this wine should taste good together. I also had some honey chicken salad with balsamic dressing and that proved a good partner too for the wine, the sweetness, freshness and acidity in the flavours mingling perfectly together. 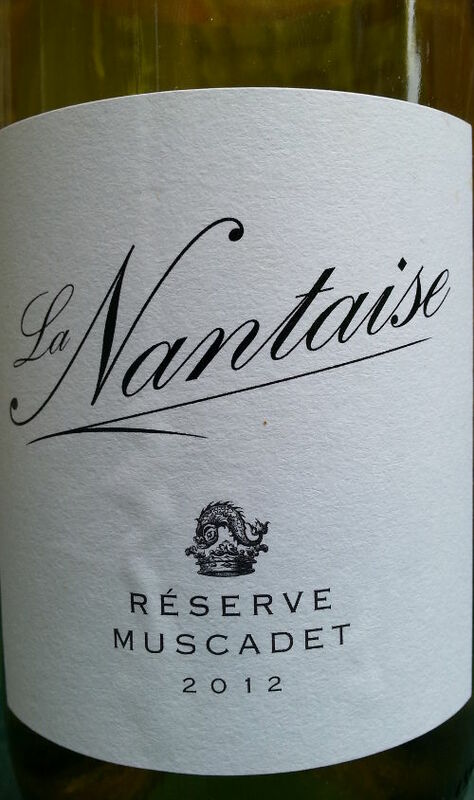 The second of the wines kindly sent to me for food matching was Muscadet Cave de la Nantaise 2012, available from Laithwaite’s. This "Réserve Muscadet", from 100% Melon de Bourgogne, had a portion of lees-aged juice added (lees being dead yeast cell deposits often used to add complexity and flavour to a wine). The nose is clean and crisp with notes of green apple, some yeastiness and a salty tang (perhaps unsurprising with the region’s proximity to the Atlantic). The palate is dry and fruity with a lemon and green apple freshness, good acidity plus a steely minerality and the delicate salty and yeasty qualities also carry through to the finish. Again, if we follow conventional wisdom, then pairing oily fish or fresh and light seafood dishes with Muscadet is a winner. So sardines, mackerel or moules marinières, a Northern France classic, would complement this wine beautifully. However, let’s think outside the box once more! Many years ago, as a young student in Manchester, I remember going with friends to the Mark Addy riverside pub for Sunday lunch. The choice was always a Ploughman’s, based on either a huge chunk of cheese or massive slab of pâté, with an extensive menu for both, plus the requisite pint of Boddingtons (when it really was Boddingtons!). Yet if I had been in the mood for wine, then at 11.5% ABV, a light, crisp and refreshing glass or two of Muscadet with enough acidity to cut through the full-fat lunch options would have been ideal. So with that in mind, I tried two options. Firstly, what better to complement the salty tang of the sea and lemon freshness of this wine than sweet and salty Scottish Orkney crab pâté, mixed with full-fat soft cheese, lemon juice and black pepper, served with crusty bread. Nevertheless, I also wanted to try a meat-based pâté and although traditional Brussels, Farmhouse and other styles would have worked perfectly well, I chose a smooth duck pâté, mixed with cream, roasted shallots, balsamic vinegar, honey and cracked black pepper. The acidity of the wine cut through the fatty creaminess of both these pâtés and the yeasty quality of this Muscadet with the apple notes on the end-palate went superbly with the sweetness of duck or crab on a chunk of bread. Everyone will have their own opinion on what goes best with these and, indeed, all wines and there are clearly no right or wrong answers. I enjoyed the combinations I chose, but others may not and will prefer something completely different. Personal taste and individual opinion should always govern food and wine matches, as it’s really nobody else’s business what we choose. However, a little bit of common sense and science, backed up by people who do know a thing or two about the vinous stuff, can guide us all to making informed choices. Now that does make sense, n’est-ce pas? 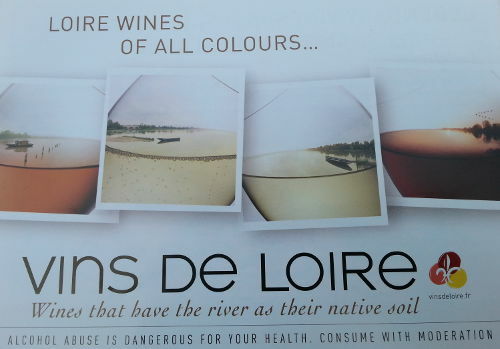 More information on Loire wines can be found at Vins de Loire. For anyone interested in the usefulness of wine critics, Tim Atkin’s excellent article is worth a read. Alternatively, if you fancy checking out some of my wine tasting reviews with the occasional food and wine suggestion, then you can find these on my main website.